London champion, Great North Run champion, Boston champion. Rita Jeptoo is terrific, but Priscah Jeptoo (no relation, as you know) is the best. After most of the elite women slept-walked through 15 miles, allowing Buzunesh Deba and Tiga Tufa Demisse to open up more than a 3-minute lead, a man on a bicycle apparently spurred Jeptoo to a stunning 1:09 second half and the victory that earned Jeptoo the World Marathon Majors title. Rita tends to run Boston while Priscah tends to run London. It would be great to see them in the same race next spring. Rita turns 33 in February. Priscah doesn’t turn 30 until next June. Mary Keitany, by then 32, should be back next spring as well. If there was any doubt about Deba’s status near the top of the elite women’s marathoning, that doubt should be erased with her second straight second-place performance in New York City. Not just that, but she was fantastic because of the way she did it. Deba went out early and built up a huge lead with only nominal assistance from her teammate Tufa Demisse. Her partner in crime from 2011, eventual winner Firehiwot Dado, has clearly not fully recovered from a year of reduced training, finishing 15 minutes back in 14th. Deba had to battle a jarring wind and still led for 23 miles. Even though Jeptoo flew by her and Deba was unable to latch on, she nonetheless ran a strong final three miles and did more than just hang on for second (she was 51 seconds ahead of Jelena Prokopcuka). In a race that took its toll on runners and on a course with a more difficult second half, Deba barely ran a positive split (1:12:38, 1:13:18 for 2:25:56). She doesn’t turn 27 until next September and should be a consistent force in New York City and elsewhere, health (and all other distance-running caveats) provided. Geoffrey Mutai said Thursday that he was looking ahead to his next successes rather than feeling the pressure of his past successes. 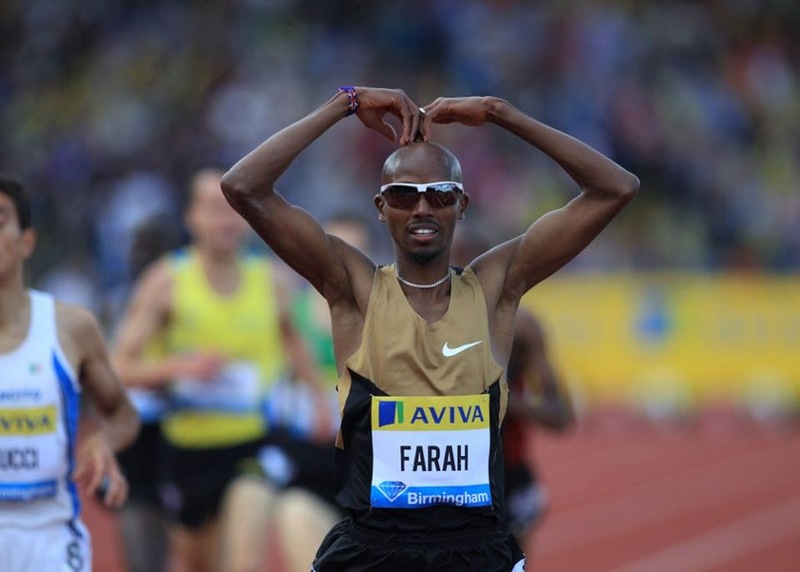 He doesn’t need to look any further than his latest performance where he was the rare male elite runner (along with Tsegaye Kebede perhaps) who managed the conditions and finished strong. He made his move at Mile 21, dropped all but Stanley Biwott immediately, and needed just a few minutes to say good-bye to him. Geoffrey Mutai has now won 7 of his 11 marathons to date. Priscah Jeptoo has won 5 of her 9 marathons, finishing top-3 in all of them. It seems likely that Mutai will be part of a mouth-watering field in London next April. Biwott was the only remaining member of the eight-man lead pack willing to go with Mutai when the eventual champion made his move, but he almost immediately regretted the decision, hanging with Mutai for only about a mile and then falling back on the 23rd-mile incline on Fifth Avenue. Mutai entered the park alone and eventually finished 2:17 ahead of Biwott, who finished fifth. This is the second straight race (to go with London in April) in which Biwott, 27, could not hang in down the stretch despite leading with less than 10 kilometers to go. In neither occasion did he get on the podium. His half-marathon times, which were the only ones that could match Mutai’s, says he should do better. He’s already run better over 26.2 than half-marathon legend Zersenay Tadese, but he’s beginning to look like Tadese in his inability to put together a full marathon befitting his outstanding halves. Kenyans placed in five of the top nine spots in the men’s field, but Japan was the only nation beside Kenya to have two runners in the top 11. Per Japan Running News, Masato Imai, the sixth-place finisher Sunday, is an Ekiden uphill specialist, and he used that specialty to good effect on New York City’s bridges in hill. By now, you’ve probably seen this clip of Meb Keflezeghi talking about why he stayed in a race, despite having to stop and stretch for three minutes in the 20th mile. Martin Lel and Jason Hartmann had long since pulled out in chilly, windy conditions, but Keflezeghi stuck with it and finished a marathon he won. Here he is on what kept him in the race. Ryan Vail’s 13th-place finish could have been a sub-2:10 in flat, favorable conditions, and he was a deserving best American. 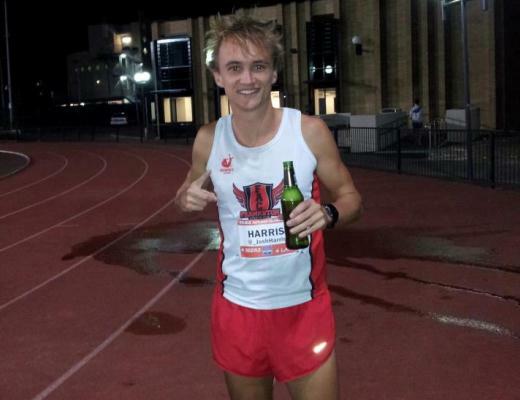 He’s just 27 and may be the near-term future of American marathoning, along with Dathan Ritzenheim. Assuming Ryan Hall is unable to put it back together and that Jason Hartmann, at 31, has reached his peak (the two-time Boston Marathon fourth-place finisher dropped out at Mile 19), Vail would have to be considered an early contender for top-three American to enter any upcoming championship. Otherwise, it was mostly a dud for America. Kim Smith finished sixth — she trains in and went to Providence, but she’s a native New Zealander. The first American woman, Adriana Nelson, finished 13th in 2:35:05, nearly 10 minutes back of Jeptoo. Amy Hastings, Smith’s training partner, struggled to a 20th-place finish in 2:42:50 after a 1:26:48 second half. Stephen Kiprotich was never going to break his 2:07:20 personal best today, but this was a good chance for the 2012 Olympic and 2013 World Champion to show what kind of racing he could do in a deeper field. Since it was never going to be a fast race, his relatively slow PR seemed to be an advantage, and yet he never really seemed a threat, barely hanging by a thread to the lead pack for several miles. He had no answer when Mutai surged and Kebede showed himself more capable of hanging with Mutai. 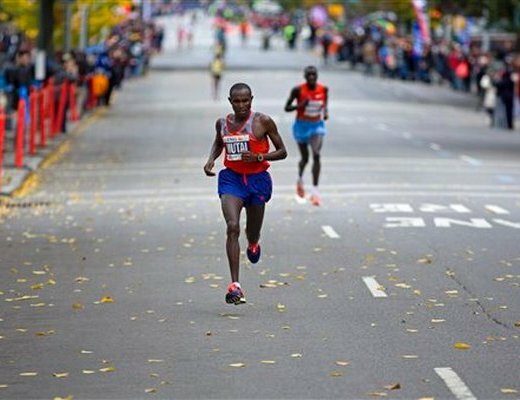 Kiprotich appears to be the best warm-weather marathoner in the world, and this was his third marathon of the year, but he was unable to stick with the only man who could take $500,000 out of his pocket. The consistent Kebede, also running his third marathon of 2013, was 3:43 faster than Kiprotich from Mile 22 to the finish. It was a solid B- for ESPN’s coverage of the marathon, the first national broadcast of a non-Olympic major marathon since Boston in 2007. The start was promising, with plenty of coverage of the elites. There were a couple of interesting segments, including one Sports Science spot on Keflezighi and a terrific 3D course map (though mile markers would have helped the latter). The ticker across the top with men’s and women’s leaders as well as splits was useful as well. On the other hand, the broadcast bogged down near the middle of the woman’s race. Suddenly, John McEnroe was providing mildly entertaining but mostly irrelevant and self-promoting thoughts, and then ESPN gave the viewer a series of human interest pieces that, individually would have been fine but collectively took us away from the elite races for far too long. This was particularly true of the men’s race where we didn’t see an elite men’s runner from 10:23 a.m. ET until 10:55 a.m. ET. ESPN needs to space those better. Those of you who read our piece on New Yorker Carol Jin will be pleased to know that she ran 3:55:27, a personal best by more than 15 minutes. She and her sister finished together, and she achieved her primary goal of having fun.